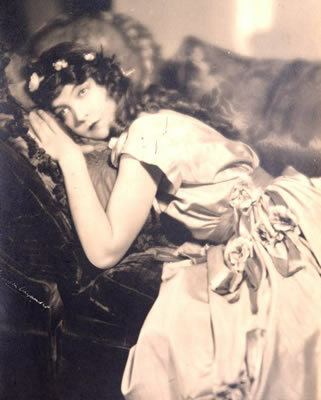 Photograph of actress Lillian Gish. Courtesy of Massillon Museum. Lillian Gish was born in Springfield, Ohio, on October 14, 1893, and in 1902, Gish began acting in a local playhouse in Rising Sun, Ohio. Gish's career accelerated upon meeting director D.W. Griffith on a trip to New York City in 1912. Over the next thirteen years, Gish starred in forty different Griffith films, including probably his most famous film, Birth of a Nation, in 1915. Throughout her career, she toured alongside her younger sister Dorothy Gish (1898-1968), who specialized in comedic roles, whereas Lily was known for her dramatic performances. She was one of the leading silent film stars of the 1910s and the 1920s. Gish's acting career spanned more than eighty years. She acted in over one hundred feature films. In 1920, she became the first woman in history to direct a feature film, Remodeling Her Husband. The first sound movie that Gish starred in was One Romantic Night in 1930. During the 1930s, this successful movie actress returned to the stage, becoming a star on Broadway. She continued to do films, with her final one being The Whales of August, which she acted in at the age of ninety-five years. In recognition of Gish's accomplishments in the filmmaking industry, the actress and director received numerous awards and honors. In 1971, Gish accepted an honorary Academy Award. Thirteen years later, she received the American Film Institute's Life Achievement Award. Gish died on February 27, 1993.